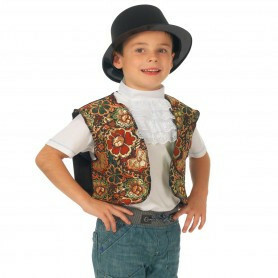 A fancy waistcoat, certainly not an urchin waistcoat, but would suit some applications especially dramatic presentations. One size that fits most. 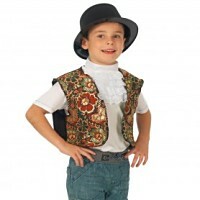 This brocade historical waistcoat suits a child age 3-9 approx. 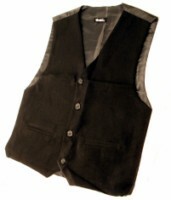 Please note that this is for the waistcoat alone, none of the other accessories are included but are available separately.